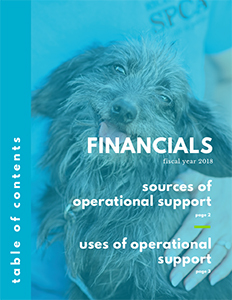 View our Annual Report for the Richmond SPCA’s most recent fiscal year, which ended September 30, 2018. View our Form 990 from our most recently filed year. All Virginia releasing agencies submit annual statistics to the Virginia Department of Agriculture and Consumer Services (VDACS). 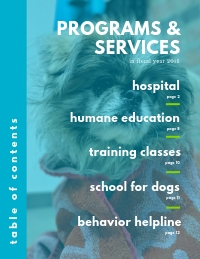 View our annual public reports on their website by selecting which year you would like to review, choosing Individual Agency Report and then selecting Richmond SPCA. 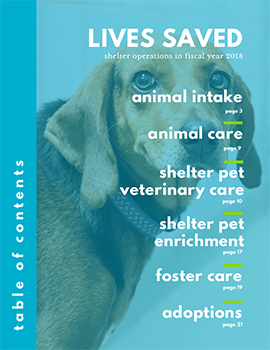 Data Saves Lives: Virginia’s animal shelter reporting requirements are a leading example of the transparency data can provide to facilitate lifesaving. 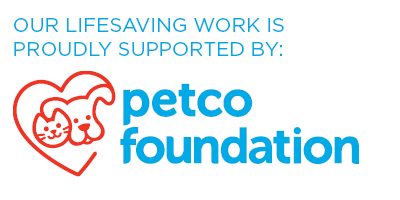 The Petco Foundation has created this tool to illustrate more than 10 years of data from shelters in our state. 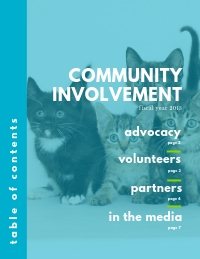 View our past annual reports, financials and statistics in our archive.